Mamma LOVES a two-for-one deal, and if you have a pooch you will love this one too! This quiet little pocket of Truganina has the goods to let you wear out the hair babies and the fur babies in one visit. 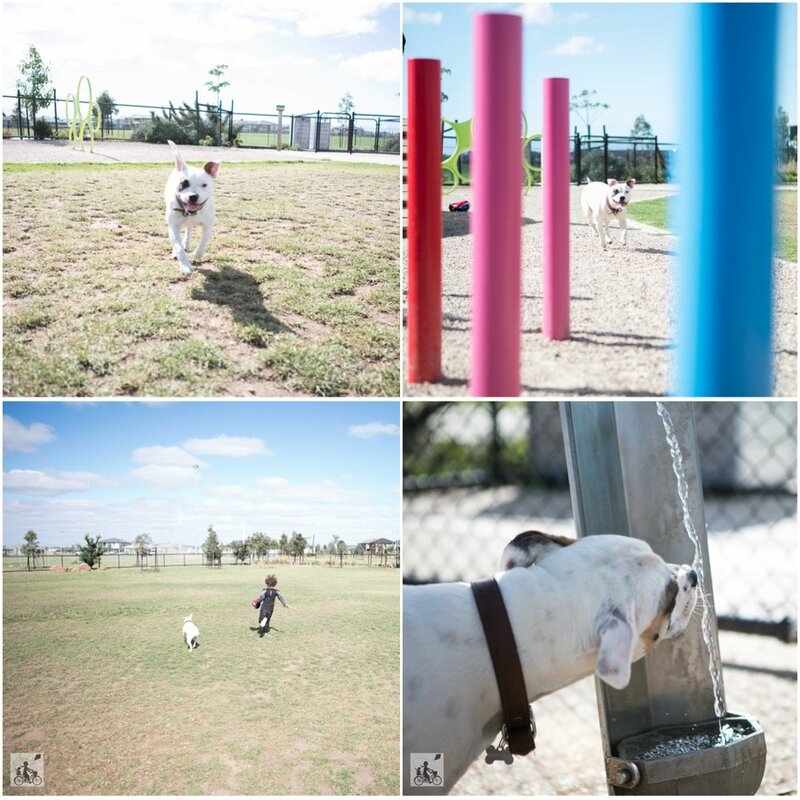 First up, the enclosed off leash dog park is new and clean with plenty of space for four and two legged creatures to run around in. 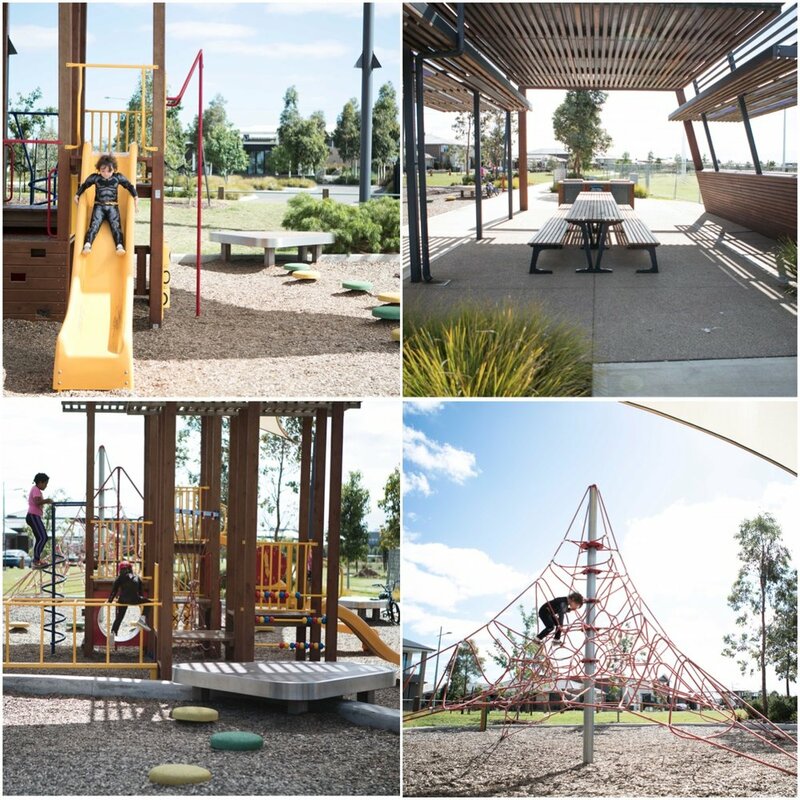 It also has agility equipment to have a train/play on, a few benches to relax on and a water fountain for both pooches and their humans. Bins and bags are supplied for those natural deposits too (Make sure you use them!). 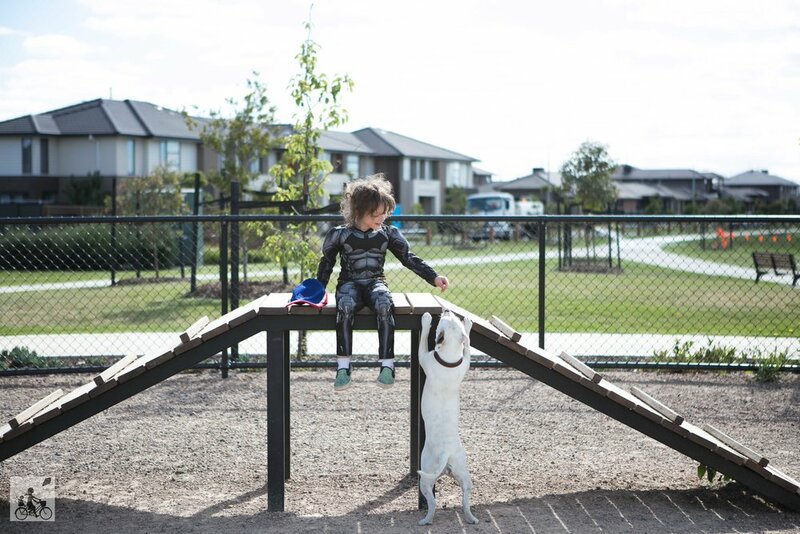 A hop skip and a jump away (about 40 metres) is the playground, so let your dog rest after all that exercise while the kiddos have a play on the climbing web, slide and the usual playground fare (all under shade cloth). Take a seat in the undercover area (with BBQ's) while you watch them play or watch the footy in the adjacent oval - with multi million dollar sports pavilion and grounds (currently being built).